Chris Gayle is the only man to have ever hit a six off the first ball of a Test match. But then producing the impossible is an everyday act for the West Indies legend: the first man to smash an international T20 century, the first to hit a World Cup 200, the fastest century in the history of the game. Off the pitch he is even more flamboyant: he plays late, parties later, demolishes a king-size pile of pancakes and then strolls out to mangle another hapless bowling attack. But do we really know him? Do we know what took a shy, skinny kid from a cramped tin-roofed shack in the dusty back streets of Kingston to the very top of the cricket world - without losing himself along the way? 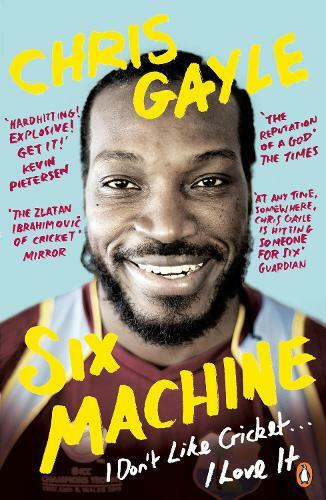 A story not just of sporting genius but of battling prejudice, this unputdowneable memoir will leave you reeling. Welcome to the world of the Six Machine.